We’ve got a newcomer! Meet Thief Arthur, from the hit fighting game Million Arthur: Arcana Blood! Check out the trailer below!
! You will be able to purchase this character DLC starting September 13! 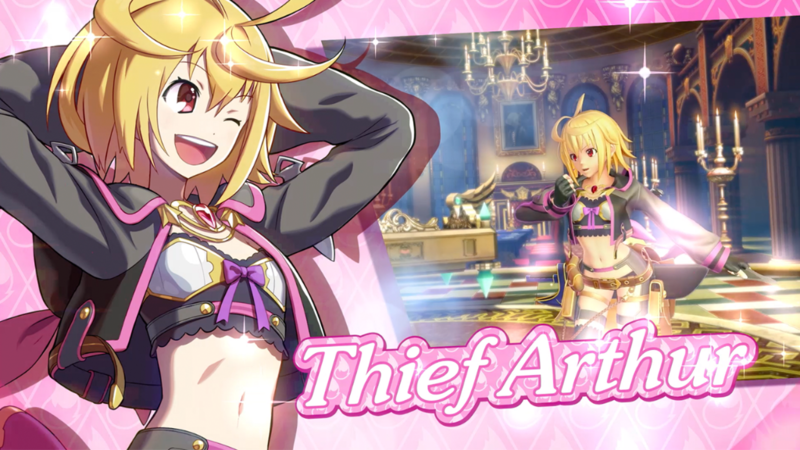 From the Million Arthur series, Thief Arthur arrives and steals the show! Once long ago, she infiltrated Camelot to steal some of its legendary treasure, accidentally removed the legendary blade Excalibur, and became king! Her stubbornness gets in the way of showing kindness towards others as well. Now, she arrives in SNK HEROINES ~Tag Team Frenzy~to swiftly kick, punch, and whack(!) her opponents before snagging their treasure! SNK HEROINES ~Tag Team Frenzy~ launches worldwide on September 7! What other surprises await? Hmm… find out soon!